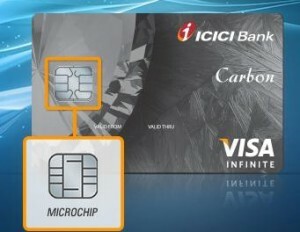 This is in regards to a call that I received from ICICI Credit Card Division marketing ICICI Coral Credit Card to me. I got interested and told them to collect the documents. The caller told me that it would take a maximum of 10-14 days to receive the Credit Card. I applied for the same on 27th Sept. After 10 days I made the first call wherein I followed up asking about the status, wherein I was told that your documents are in process will take another stipulated 4 days. Now after 4 days I call the Credit card Salesman Mr. Rohit Kumar Singh, Mobile #7666367280. that the timeframe agreed was already over and now I need to get my credit card. He told me to message me the details i.e. the application number i.e W110100111582 , name and cell #and assured he would look after it. Now after 2 more days I call him upfront, he gives the number of the Branch manager Mr. Pal i.e. 9022151535. He tells me the same thing i.e. messaging him the details. I do that again. I warn them that the deadline has already passed and that I fear that my documents that I submitted could be misused. He tells me not to worry and he will ensure that he will get me the credit card by end of week i.e. Oct’11 . I wait for 5 more days and now when I called him up today, he says that the status is still in progress. He cant do anything. I tell him that this is absolutely unacceptable and that I am no more interested in the Credit Card and that I need my documents back. He says that its ok, if I dont want the card and as for the documents he will se whether he can do anything or not. At the end of 21 days, I am left with no Credit Card in Hand and I am under a fear of my documents being misused. Absolutely pathetic and unprofessional behavior. Scanning my Application receipt for your quick reference. We have alerted the Services Quality Team at ICICI Bank and Hopefully he has promised that he’ll get back to the applicant with a satisfactory reply. This entry was posted on Tuesday, November 5th, 2013 at 5:10 pm	and is filed under ICICI Credit Card.